Melvyn Levitsky tracks parallels between Brazil’s political future and the U.S.
Ford School Professor Melvyn Levitsky, who previously served as the U.S. ambassador to Brazil, was asked to weigh in on the country’s upcoming election by Folha de São Paulo. Folha, for short, is a nearly century-old daily newspaper in Brazil known for its commitment to political independence, similar to The New York Times in America. In an article from October 8, 2018, “Bolsonaro should nod to Trump but does not mean Brazil will be top priority for USA” Folha reporters Júlia Zaremba and Danielle Brant call on Professor Levitsky’s diplomatic experience to contextualize similar populist trends in Brazil as they near the October 28 presidential runoff election. The race between leftist candidate Fernando Haddad and right-wing candidate Jair Bolsonaro is seeing a wave of comparison pieces to the 2016 U.S. presidential election, many highlighting Bolsonaro’s familiar tagline, “Brazil before everything, and God above all.” But as Levitsky points out, despite—or potentially because of—Bolsonaro’s similarities to President Trump, the presidential hopeful might not have an easy alliance. 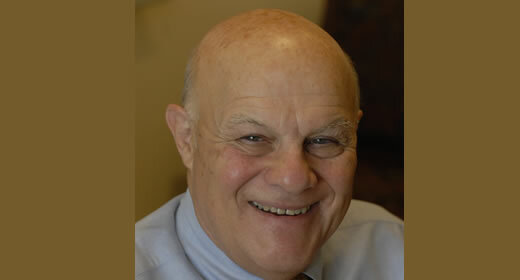 "I see Bolsonaro speaking in the same nationalist terms as Trump,” Levitsky is quoted, “Bolsonaro's base, who voted for him, is similar to Trump's base because it seems to be focused on things like fighting corruption, crime, drug trafficking.” Levitsky predicts a tricky balance, stating that while “there are reasons for both to have good relationships,” Brazil will have to do the greater amount of work if they want to foster a close diplomatic bond. Read the full article in the original Portuguese. Melvyn Levitsky was U.S. ambassador to Brazil from 1994-1998. At Ford he acts as Professor of International Policy and Practice at the University of Michigan's Gerald R. Ford School of Public Policy. He is Senior Fellow of the School's International Policy Center and a member of the University of Michigan's Substance Abuse Research Center (UMSARC) and a Faculty Associate of the University's Center for Russian and East European Studies (CREES) and of the Weiser Center for Emerging Democracies.